The news today says that landmark buildings across Ireland have been floodlit green in celebration of St. Patrick's Day. Hundreds of thousands of Dubliners and tourists are at the Dublin parade. What is a shamrock? In North America, we buy oxalis (above) as our representation of the shamrock. It has four leaves so symbolizes luck as well. But the real shamrock is 'a young sprig of clover'. It has 3 leaves and was used as a metaphor for the Christian Trinity. The word shamrock is the diminutive of the Irish word for clover. Wikipedia tells me the species is Trifolium dubium or Trifolium repens, known as white clover. There has been controversy on this topic. 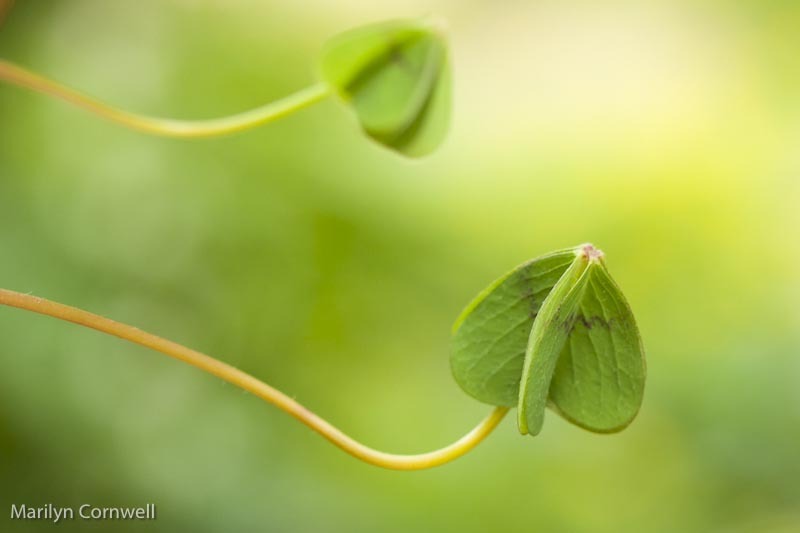 Wood Sorrel - Oxalis acetosella was a 'pretender' in the 1800's. This is a serious topic in Ireland and botanical surveys were carried out over time, culminating in 1988. The results were that Trifolium dubium (lesser clover) is considered to be the shamrock by half of Irish people. Ireland celebrates this remarkable tradition today with various activities. "The drowning of the shamrock" expression comes from taking the shamrock at the end of the day and putting it into the final glass of grog or tumbler of punch; when the health has been drunk or the toast honoured, the shamrock should be picked from the bottom of the glass and thrown over the left shoulder." I did not know that about a Shamrock. Interesting. I always thought it had four leaves too.